[Privilege] it needs one person -- per -- one local-breweries-sake Mt. Naeba sake holder and seedling place buckwheat noodles -- I attach. 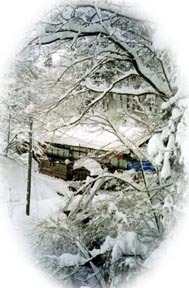 The isolated lodge of the wooden structure of the hut style built in the ravine where rich nature was left behind.In spring, a Kajika-frog cries and a firefly flies about to a guest room place by the window in the early summer.There is sentiment which is likely to have some dramas in the red leaves of autumn, and the heavy snowfall of winter in the alley to an inn.In addition, a reception is an inn of pride in homely one and DAN in a low charge. The dish the inside of a hall to which cleaning was careful, and handmade which feel the reception which was heartfelt also in the yukata comfortable to wear, and food follows was like [ which becomes sorry with serious entertainment ].Bathrooms are also cleanliness and a very pleasant hot spring in which it is slightly brown and the hot spring of a sulphuric smell overflows. me -- a deeply concerned about -- although a husband will say [, you ] so when leaving if it says that it was a delicious dish -- a deeply concerned about -- it is delicious -- it is -- it was called ?.the unusual thing in particular is not done -- unvarnished -- sincere . 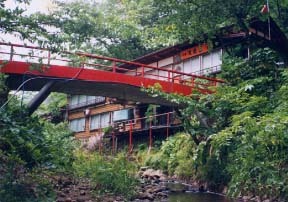 The dish carried in Zen did not use a chemical seasoning, but even simmered dishes to a small bowl, a row slices, a flied, vegetables boiled hard with soy, and one-pot dishes are handmade, and it felt it as orthodoxy's Ryokan dish.Sufficient volume which chooses the foods with which a visitor is pleased also with a low charge and in which the boiled rice of Uonuma and soup are very delicious. Small bowls are a popular lily bulb and a scallop. # Every morning and evening is room foods. 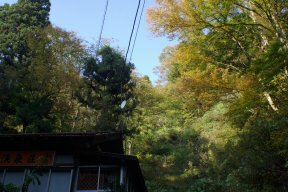 # To the enough salmon of a taste, bidding boiled greens, a fry and a kinpira dish, and miso soup are also very delicious. Two bathtubs are used by the Separated by gender or a charter.The bathtub of mason black granite, a washing place. Though fountainhead input is adjusted according to congestion, the part is free-flowing-hot-spring-water & Followed, and it is a burn. The touch of a sheet or a yukata is very pleasant. * The washed towel is in front of a bathroom.Please bring washing-your-face equipment with you. The stone of a fall crest found in Shinano River.